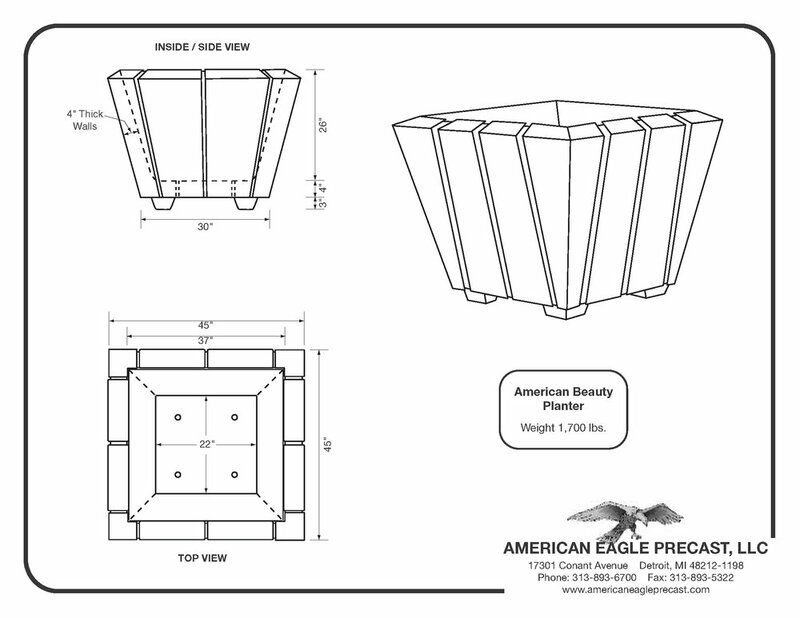 Our precast concrete Decorative Planters are cast with 4800 psi air-entrained concrete poured over a steel rebar reinforced frame. We have a large variety of decorative styles and designs all of which will help add colorful and vibrant landscapes to any commercial area. The price range listed above is the Pick-up price range. For more information please Contact our Sales Team.